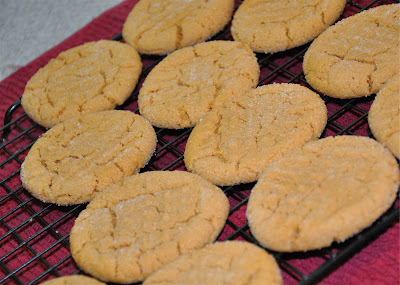 I was in the mood to experiment with cookies last night. So far, my favorite gluten free cookies are these Peanut Butter Cookies. Place coconut oil in a large bowl. I microwaved mine for 15 seconds to soften. Cream oil and sugar together. In a separate bowl blend flour, cornstarch, & cocoa. Add in flour until mixed well. Split dough in half. Shape each into logs about 1 1/2 inches in diameter. Wrap in plastic wrap and refrigerate at least 2 hours. Slice each log into 1/4 inch circles. Line baking sheet with non-stick foil. If you don't have non-stick, use parchment paper. Bake for 13-15 minutes at 375 degrees. Cool completely on a wire rack. 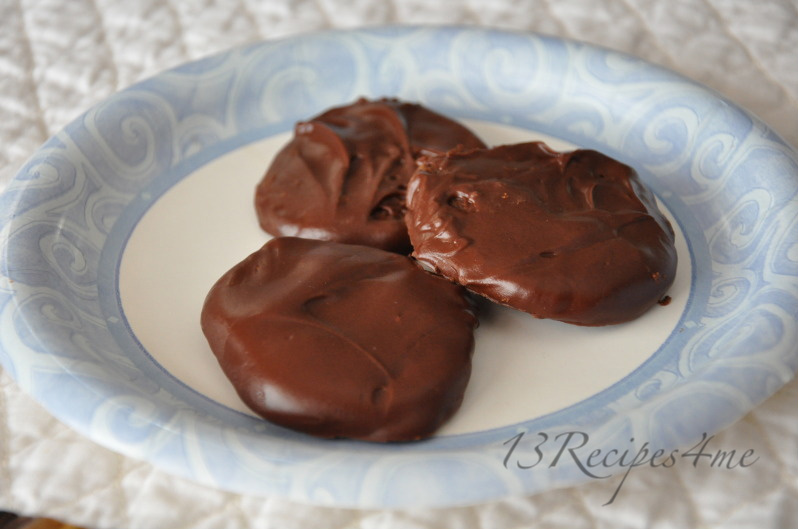 Melt chocolate, butter/oil, and mint extract carefully in the microwave or double boiler. Dip each cookie into the chocolate. Use a fork to remove. Place on non-stick foil to harden. (I used the same foil I lined the baking pan.) Can be placed in freezer or refrigerator to harden more quickly. *For gluten free, casein free omit milk and use coconut milk. Instead of butter, use coconut oil.